To say that the kids of Marjory Stoneman Douglas High School in Parkland, Florida have had a rough go of it these last few weeks would sadly be the understatement of the century. On top of the fourteen students and three staff members that were killed in yet another horrific school shooting, the pattern of such events is that news vans and cameras descend on the scene and a community’s grief is broadcast across millions of televisions nationwide. 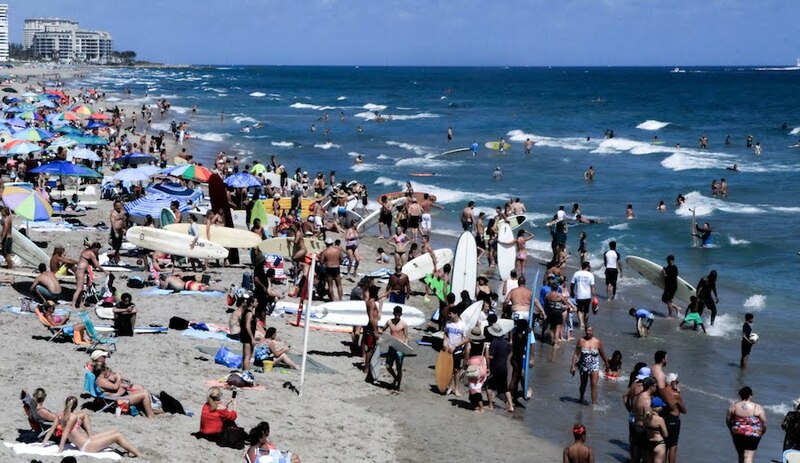 Seeing the way the Parkland tragedy ripped through her community, though, is precisely what inspired Linsey Cottrell, co-owner of Island Water Sports in Deerfield Beach, Florida, to organize a paddle out for its victims. Deerfield Beach is essentially a 20-minute straight shot east of Parkland, Cottrell told me. So when news broke there had been a shooting in Parkland, it hit close to home. “It’s essentially our backyard,” she said. Cottrell said her and the rest of the Island Water Sports crew thought long and hard about the paddle out idea. A lot of the students they spoke to from Marjory Stoneman Douglas High, for instance, had no idea what a paddle out was. 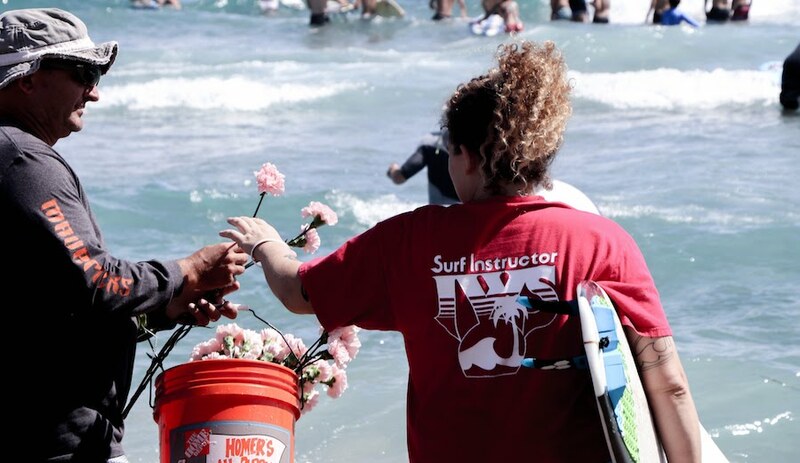 But when they explained that it’s a way surfers often celebrate the lives of friends and family members who have passed away, telling stories about them, the students loved the idea. In total, the paddle out attracted 300-400 people, 20 of which were MDS High School students who gathered in the middle of the paddle out circle to share stories. About 1,000 more people stood on the beach and the pier. For five days prior to the event, says Cottrell, Deerfield had howling winds out of the southeast making for unruly choppy conditions. Come Sunday, she was worried the winds would make it difficult for a lot of beginner surfers who wanted to participate. Amazingly, by the time everyone paddled out at 12:15 there wasn’t a breath of wind. “We were hoping for a great day, and God provided,” said Cottrell. Talking to Cottrell over the phone, she said the power of the event was difficult to put into words. “It’s a moment I’ll never forget,” she said.